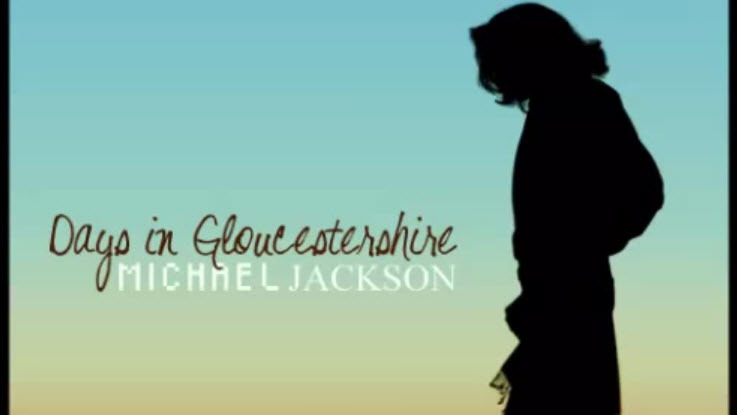 Days In Gloucestershire, an unreleased demo song by Michael Jackson, has been reportedly leaked onto the Internet. The original song was recorded back in 2005, but it was reworked a few years later in 2008 with some tweaked lyrics. It is reported that Michael stayed in Gloucestershire for sometime when he was with the Jackson 5, and that Gloucestershire left an impression on him. During the sexual abuse trial in 2005, Michael wrote the song to reflect a happier moment in his life. You will see by the demo below, that the song is pretty melodic and peaceful. “He was staying in a hotel room with his producer Brad Buxer and Jackson said he was a loser, so they wrote a song called “I Am a Loser”. “But they later turned that into “Days in Gloucestershire”, a more positive piece about when he was happy. The song is still incomplete as it really is just a demo that was never quite finished, but it may be reworked again and finally released soon. You can listen to Days In Gloucestershire, and let us know what you think.